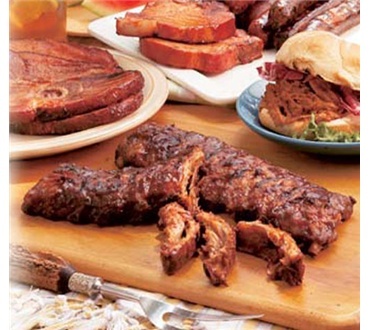 A hearty selection of our best grilling meats for your sampling enjoyment. I received prompt service. I was a little disappointed that the baked beans were sold out when I ordered. The food was delicious.